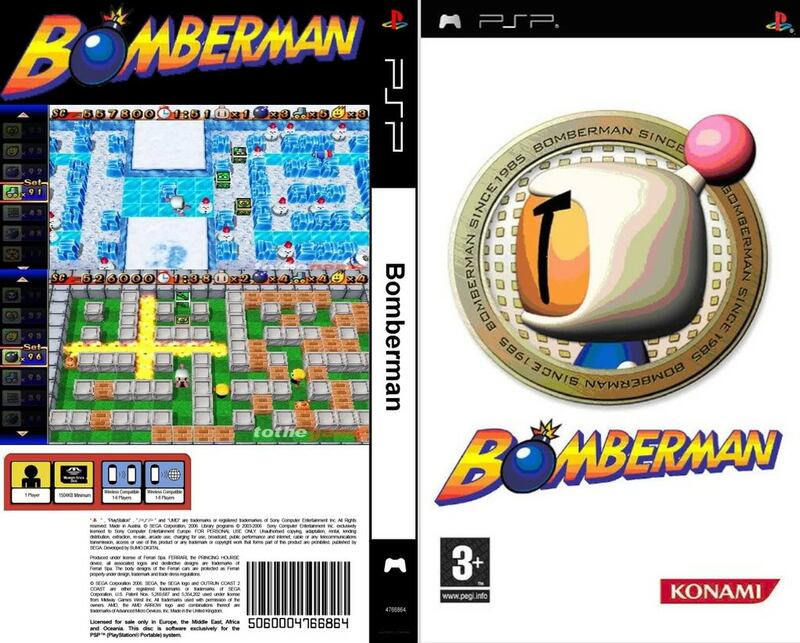 Bomberman arrives on the PSP with nostalgic gameplay and a new twist for the next generation of wireless, mobile gaming. An ominous black shadow is creeping towards Bomberman's planet, and sudden attacks by a mysterious robot army have brain-washed the inhabitants of surrounding planets, causing mass chaos. 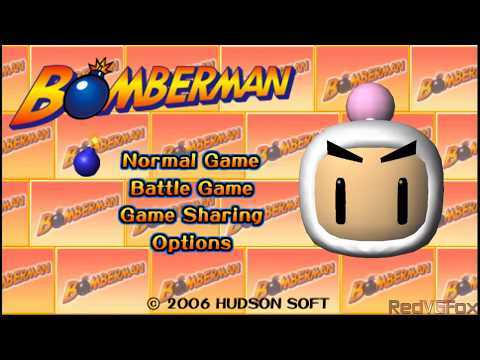 Bomberman must embark on a new adventure through the galaxy to restore peace and order. Normal Mode: the latest Bomberman complete with a new story and 100 levels featuring a new Item Stock system allowing for the collection and strategic use of more items. Classic Mode: based on original classic Bomberman featuring over 50 different levels. Multiplayer Battle Mode: up to 4 players can fight for survival in a variety of highly customizable games across 20 different stages via wireless ad hoc mode. Game Sharing: Up to 4 players can battle from 1 UMD game disc. Now you can add videos, screenshots, or other images (cover scans, disc scans, etc.) for Bomberman (USA) to Emuparadise. Do it now!